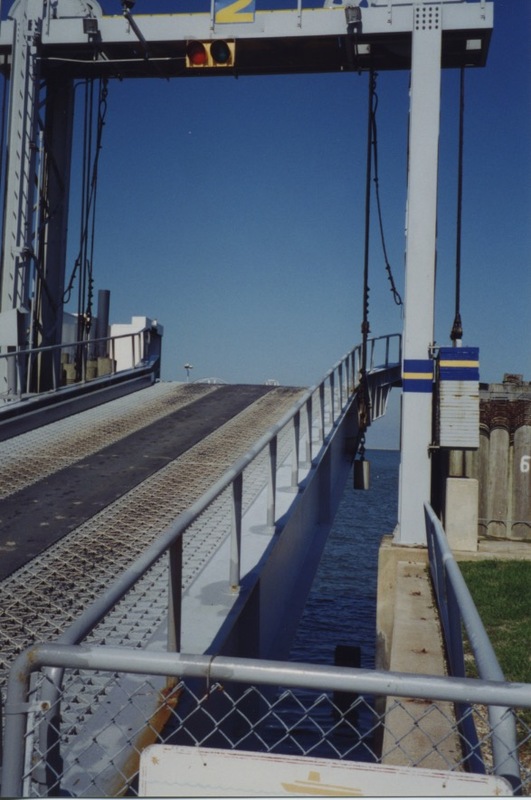 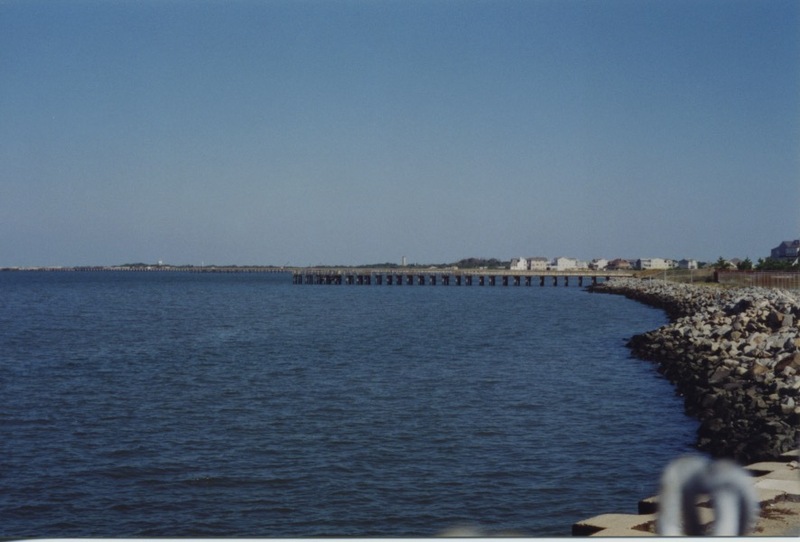 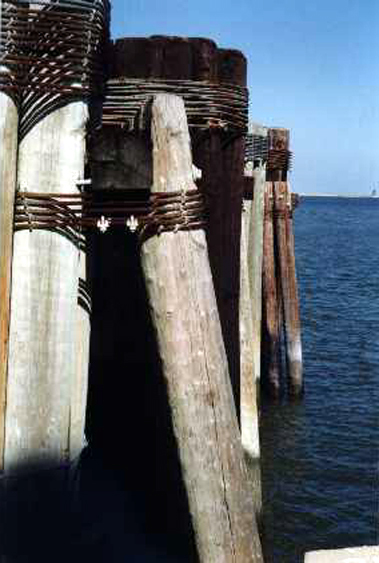 Dock pilings at the ferry berth on the Delaware side. 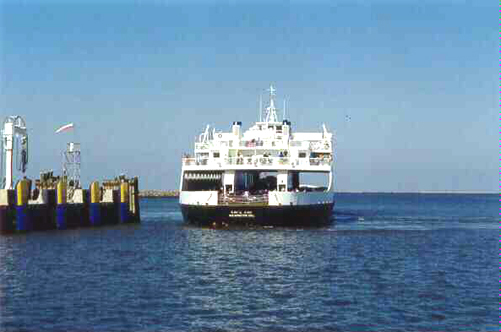 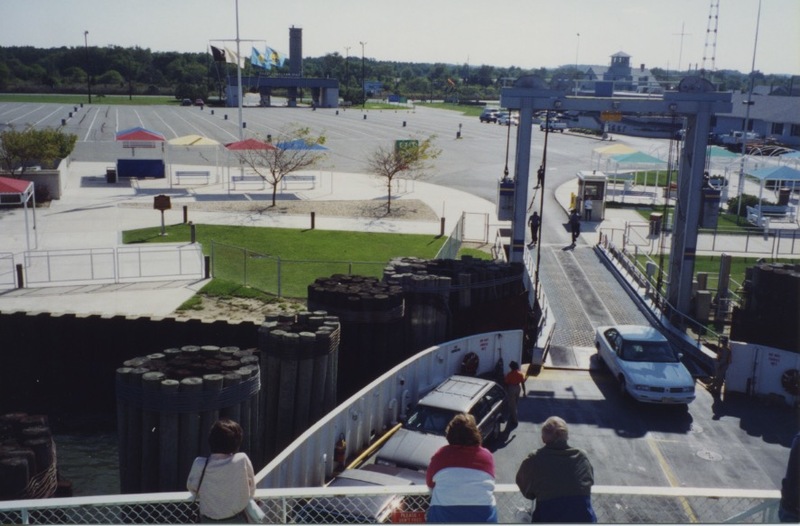 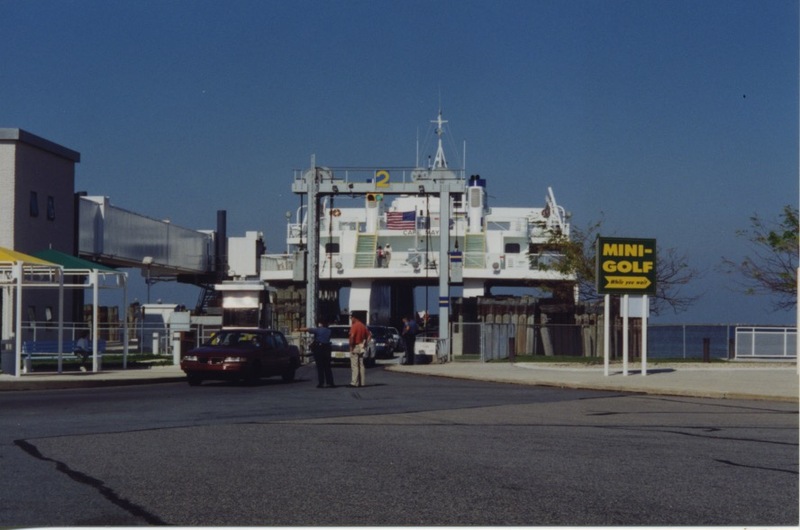 Ferry unloading travelers from Cape May. 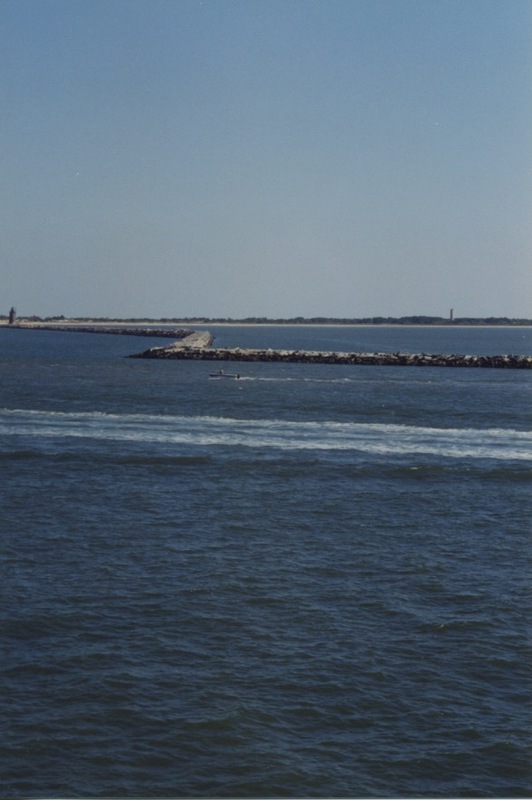 Sailing out alongside the breakwater. 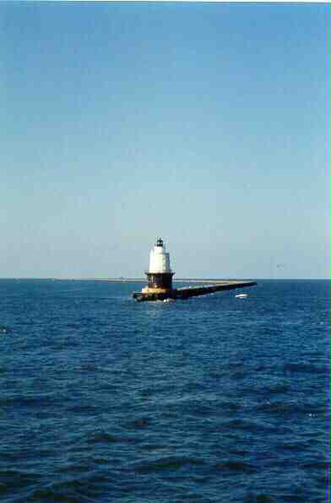 Lighthouse marking the end of the breakwater and the channel. 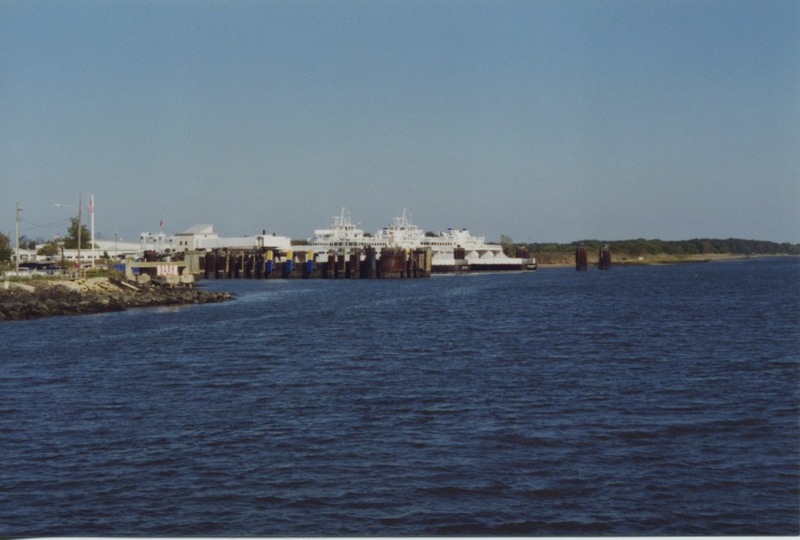 Ferry route and map of surrounding area where I live. 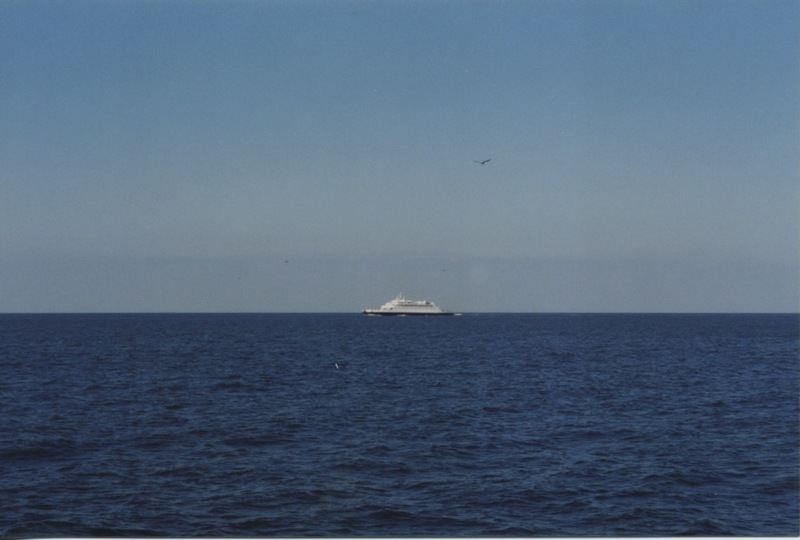 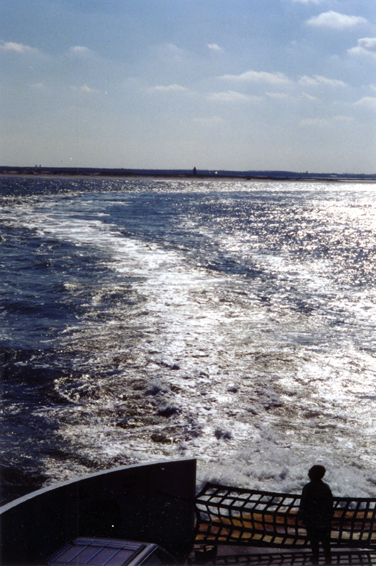 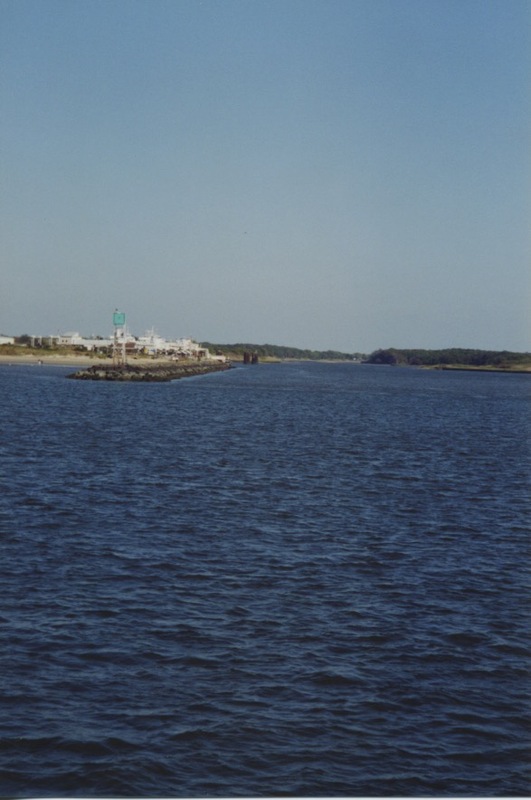 Passing ferry coming from Cape May.